It's all about how your height effects you! Increasing your height can help achieve a boost in your self esteem. BONUS: Precice and the all new STRYDE™ Nail System! Heal faster with the latest, innovative technology in the height lengthening industry. Are you tired of being short? Do you feel self-conscious about your height in everyday situations to the point where your happiness is being compromised? If you answered “yes” to any of these questions, you are not alone. Height lengthening is a surgery that increases the length of the long bones of the leg. This procedure can be done on the femur (thigh) and/or on the tibia (shin). Today’s height lengthening technology is far more advanced than what was started in the U.S. back in the 1950’s. Cosmetic height lengthening can help you grow taller – by up to 6 more inches! 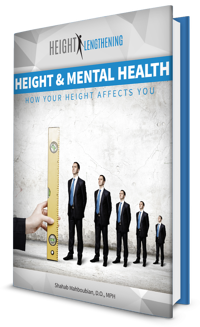 You no longer have to suffer from anxiety, unhappiness, distress, and low self-esteem because of your height. We are the leader in height lengthening surgery and leg deformity correction. Being short or having limb deformities are the two major reasons why people want to have this procedure. Being shorter than your peers can be emotionally exhausting and can ruin your self-confidence. Many people with short stature have extreme difficulty dating, making friends, and pursuing their professional goals. Many also suffer from severe depression that can lead to suicidal thoughts. Does this sound like you? If so, cosmetic height lengthening can be a liberating option that can positively affect all aspects of your life. People with limb deformities such as “bow legs” (genu varus), “knock knees” (genu valgus), and limb discrepancy disorders can also benefit from this procedure. In almost all cases of upper or lower leg deformities, surgical lengthening and correction can help increase your height, improve your appearance, and enhance your quality of life. 5 Who should consider limb lengthening? Although height lengthening surgery started over 100 years ago, it wasn’t brought to the United Stated until the 1950’s. Russian surgeon Dr. Gavriil Ilizarov is credited as the inventor of the external fixator, a metal device affixed to the body from both the inside and outside of the leg bone. Once attached to the internal leg bone using plates and rods, the bone was cut cross wise, and this device could be manually adjusted from the outside of the body to slowly pull the bone apart. This allowed new bone to form in between the gap, increasing the person’s height. Several centimeters of height could be achieved, which was a huge success for patients. Dr. Ilizarov’s procedure treated conditions such as polio, back curvatures, deformities of the leg, and dwarfism. The design of Dr. Ilizarov’s device is still being used today in height lengthening procedures that use external frames. It’s not just for men — women in Asia are now making this surgery popular. When a woman feels that she is too short, it can cause negative feelings about her body. This can lead to poor body image and a lack of self-confidence in social, romantic, and professional situations. Often times, height lengthening surgery not only makes a woman physically taller, but also helps her to feel like she can take on the world. The PRECICE STRYDETM nail system is unique because it is a minimally invasive solution to increasing height. Simply put, a cylindrical rod-like implant is placed into the center (medullary cavity) of the bone to be lengthened. Then, a remote control allows the patient to precisely lengthen their bone from the outside of the body using proprietary magnet technology. The first step in limb lengthening is to make a small incision in the front of the knee and then surgically cut through the width of the bone to be lengthened (femur or tibia). Once the bone has been cut into two sections, the adjustable “nail” (for internal lengthening) is fitted inside the center of the bone and secured with locking screws. The knee incision is then closed. The next phase of this procedure can take several weeks to months to complete. It is called the distraction phase because the cut bone is gently pulled apart by a fraction of a millimeter at a time. Over time, the body creates new bone tissue to fill in the gap until the patient’s desired height is achieved. Since the leg bones contain bone marrow and stem cells, the best results occur when the bone is “seeded.” Seeding is accomplished by drilling several horizontal holes into the bone to expose the marrow. This allows the stem cells and red blood cells to saturate the surgical area to improve healing. Stem cells are specialized cells in the bone marrow that can perform many different healing functions. In limb lengthening, for example, stem cells can help form new bone, blood vessels, nerves, tendons, and ligaments. As mentioned above, this “seeding” process also exposes bone marrow, which helps the body to produce new red blood cells. These RBCs help the recovery process by bringing oxygen-rich blood to the surgical area. One of the most significant and revolutionary improvements to the latest PRECICE STRYDETM Nail System as compared to prior versions is that it allows more weight bearing after surgery. Previous systems only allowed up to 50 pounds of weight bearing post-operatively whereas the new STRYDETM system can withstand up to 250 pounds. This incredible improvement helps patients move around without crutches, and makes recovery time much easier. Patients can get back to their normal routine much more quickly versus prior systems, which leads to less disruption to daily life. It is important that patients follow all of their surgeon’s directions and come to all of their follow-up appointments. Slight adjustments may need to be made to the speed of lengthening, so the surgeon’s input is crucial to having a successful surgery. Who Should Consider Limb Lengthening? People with limb deformities can suffer from mobility issues and difficulty with physical activities and daily tasks. Some conditions that cause limb deformities include dwarfism, congenital femoral deficiency, fibular/tibial hemimelia, bowing of the legs, or turning inward of the legs. Limb length discrepancy is another type of deformity that occurs when the growth of one leg has been stunted. This can occur after a trauma to the femur or tibia bone such as a break, tumor, or infection. The damaged bone may grow more slowly than the bone in the healthy leg, causing different lengths to occur. Limb lengthening surgery can help restore mobility and function for those with limb deformities or limb length discrepancy. Many of our clients begin their limb lengthening journey because they feel extremely unhappy with their height. Height dysphoria occurs when this unhappiness causes a person great distress and anxiety. Feelings of rejection, withdrawal, isolation, and poor self-perception are all common feelings associated with height dysphoria. People of short stature may be passed up for promotions at work. In fact, many of these people have difficulty finding jobs that offer equivalent pay for their skill set and level of experience. Just because they are short! Still others find that they are singled out and discriminated against (heightism) because of their height. Dating can also be extremely difficult because stereotypes tend to set the standard for how tall a person “should be.” People with height dysphoria may have such a poor self-image that they are unable to believe that others would find them attractive or desirable, so they isolate themselves from others. Cosmetic limb lengthening can help those with height dysphoria to gain the confidence they need to move in a more positive direction in their lives. Many of our clients who were once unhappy due to their short height are now experiencing joy because they are taller. It is important to be healthy prior to surgery. Your surgeon will help prepare your body by prescribing exercises that will strengthen your lower and upper legs as well as your buttocks muscles. Core strengthening and upper body exercises are also highly recommended, as you will likely need to use these areas a little more during your recovery. Eating well is also crucial to proper healing. Your doctor may suggest taking a multivitamin and eating plenty of fruits, vegetables, whole grains, lean proteins, and calcium-rich foods. There may be additional supplements recommended to help meet your body’s needs after surgery (i.e., calcium, vitamin D). Avoiding sugar, fast food, and processed foods can also help your body heal faster. Mental preparation is extremely important as well. Be prepared to experience significant pain immediately after surgery. Although the intensity will decrease as your body heals, there will still be some discomfort during the lengthening process. If you set your expectations properly, you will be better prepared. PRECISE STRYDETM Nail System is inserted into the center of either the femur or tibia bone. The system is preprogrammed to lengthen the bone according to the surgeon’s prescribed length using remote-controlled magnetic technology. Patients can gain about 3 inches of height with each procedure — Or up to two procedures can be done on each leg for a total height increase of 6 inches. All it takes is a few minutes at home to achieve a 1-millimeter increase in height per day. The total prescribed height will be achieved over a period of weeks or months, depending on how much height is desired. The recovery process will be painful, but your surgeon will prescribe pain medication for the first week or so to help you stay as comfortable as possible. Once you are feeling able, the STRYDE system allows for weight bearing of up to 250 pounds after surgery. This will help you get around more easily and get back to your life. Total recovery time often falls in the range of about 3 months. Calcium and vitamin D are two crucial elements your body needs to form new bone in the space where the lengthening is taking place. Be sure to take your supplements as recommended by your surgeon, and eat the foods that he or she suggests. Physical therapy (PT) is also an important part of healing. Since the bone is being lengthened, your muscles, ligaments, and tendons will also have to stretch to accommodate your new height. Attending your PT sessions and doing all prescribed exercises at home will help you have the best recovery possible. Expect to do physical therapy for many months after your initial surgery. Patience and dedication are vital to a successful surgery! 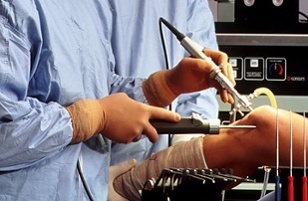 The cost of surgery is usually not covered by health insurance, but in some cases it may be. Your surgeon’s office can verify any coverage you may have and help you get partial or full reimbursement for surgery. However, since most insurance companies won’t cover the cost, you will likely need to pay for your surgery out of pocket. Ask us about financing options that may be available to you. Your height needs will be assessed after a thorough physical exam has been completed. Costs vary depending on each person’s needs, so you will need to come in for a personal consultation. Most surgeons’ offices will not provide any pricing information over the phone or by email. Height Lengthening is based in Los Angeles, CA has been providing cutting-edge solutions for those who feel hopeless, unhappy, and dissatisfied with their height. Dr. Shahab Mahboubian takes great pride in paying particular attention to details while providing the most comprehensive and meticulous care for his patients. He has been commended about his sincere mannerism and professional demeanor toward his patients by his colleagues and peers alike. With every one-on-one consultation, Dr. Mahboubian supplies his patients with a thorough understanding of their problem and a complete overview of their treatment options in order to allow his patients to make the most educated decisions about their care.